You are here: Home / Blog / Orthodontics / Why Is a Dentist NOT an Orthodontist? 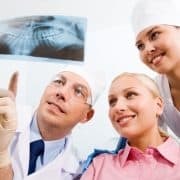 Dentists and orthodontists have some similar responsibilities, but the two professions are also very different. Many people use the terms “dentist” and “orthodontist” interchangeably, but there’s a big difference between the services a dentist provides and the services an orthodontist provides. Understanding the difference is essential for your oral health. Depending on the issue, an orthodontist may be able to provide more thorough care than a dentist. Knowing when to contact an orthodontist can help you take care of a problem before it becomes too severe. A dentist provides general healthcare for the teeth, gums, mouth, and jaw. Dentists provide regular check-ups, cleanings, and X-rays to help their patients’ maintain a healthy mouth and jaw. Ideally, everyone should visit a dentist once or twice a year for a thorough cleaning and to keep up with their dental health. 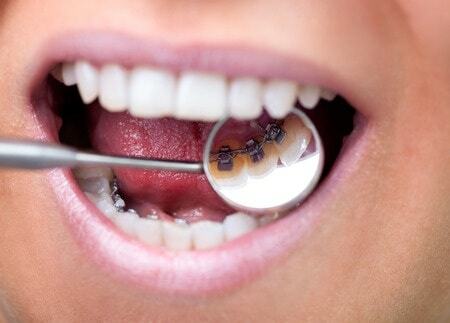 During a regular check-up, dental hygienists usually work with the dentist to clean and inspect the teeth. 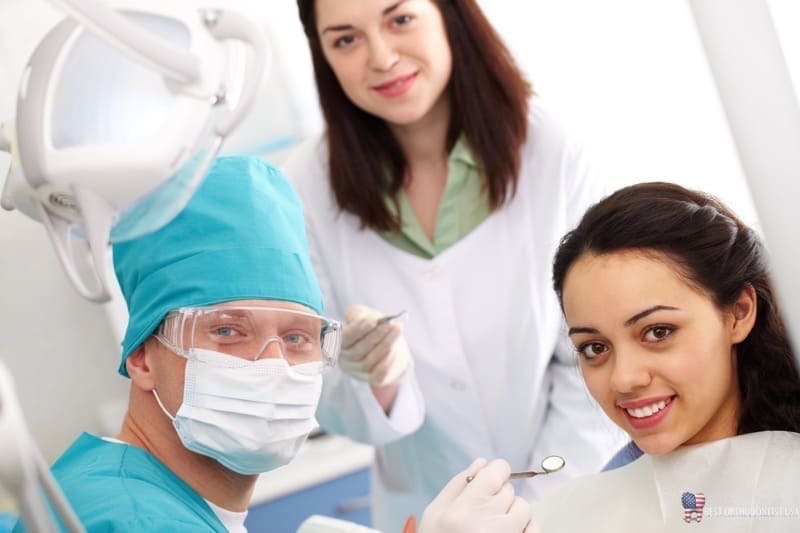 Dentists also provide oral surgeries like extractions, root canals, and dental implants. An orthodontist will evaluate your bite and the alignment of your teeth to choose the best treatment option. Because there are so many different types of misalignment, orthodontists provide many different treatments. Metal braces straighten teeth by placing a gentle pressure that gradually moves the teeth into the correct position. Invisalign, which is very popular with adults, uses a series of clear aligners to adjust the teeth over time. Lingual braces, which attach to the back of the teeth, are also popular with adults because they’re very discreet. Retainers help the teeth maintain their correct shape after the initial treatment has ended. An orthodontist can discuss the various treatment options with you and help you choose the best method. Dentists can become orthodontists after completing two or three extra years of training. Therefore, orthodontists can provide the same services as dentists. However, they usually focus on tooth alignment. A dentist will refer a patient to an orthodontist if the patient needs further care that the dentist can’t provide. The alignment of your teeth can make a big impact on your overall health and well being, so orthodontists provide a valuable service. 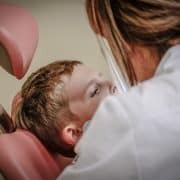 Some people wait to visit an orthodontist until their dentist refers them to one, but it can be beneficial for children to see an orthodontist even if there are no alignment issues yet. 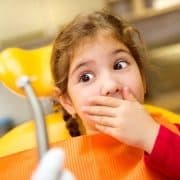 Orthodontists can predict tooth misalignment in children as young as seven. Early treatment can be much faster and cheaper than waiting until the misalignment starts to cause pain or health problems. There’s sometimes an overlap between the services dentists and orthodontists provide. 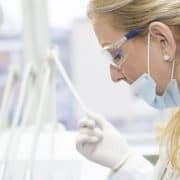 Dentists and orthodontists have many similarities in the care they offer, and orthodontists sometimes work in dental offices and provide dentistry services. Both professionals go to dental school after receiving a bachelor’s degree. After four years of dental school, they can become a Doctor of Dental Surgery (DDS) or a Doctor of Dental Medicine (DMD). However, there are also many differences between dentists and orthodontists. Orthodontists are qualified dentists, but not all dentists are orthodontists. Orthodontists receive additional training to specialize in tooth alignment, so they offer additional services. You should also visit a dentist for your regular check-up and cleaning. Orthodontists will treat overbites, underbites, and crooked, overcrowded, or misaligned teeth. You can visit an orthodontist just to make sure you have no bite issues, or you can visit if you think you have an alignment problem. You may notice that your tooth alignment affects how you speak or chew food, or you might be experiencing tooth or jaw pain from crowded or crooked teeth. If you’re not sure whether you should visit an orthodontist, you can ask your dentist during a check-up. Your dentist can refer you to a reputable orthodontist if you need orthodontic treatment. If you think you may have a dental issue, you should see a professional as soon as possible. It may not seem like a severe problem, but tooth misalignment can lead to pain and other health issues. An orthodontist will listen to your concerns, check for the problem, and determine the best solution. This may involve braces, Invisalign, surgery, or other treatments. Find an orthodontist near you to schedule an appointment and put an end to uncomfortable alignment problem.